If you have constant dry mouth, it probably indicates that you have an underlying condition that causes loss of saliva production. Many people have had the experience of waking up with a dry mouth. Home remedies may alleviate this discomfort. Saliva in the mouth helps digest food and prevent infection by killing bacteria and other harmful germs. Waking up with a dry mouth can be uncomfortable but is usually not a serious health problem. Sleep Apnea. When you experience occasional dry mouth in the morning, there is really no need to seek medical attention. If you wake up with dry mouth often, it may be a sign of other, more serious problems. One of the most common causes of dry mouth that may require medical attention is sleep apnea. In this disorder, your airways may be obstructed during the night causing you to snore, stop breathing, and gasp for breath. This gasping can lead to dry mouth. Often, a sleep partner will make you aware of this disorder. If you suspect you may suffer from sleep apnea, see your healthcare provider for further testing. The most common cause of dry mouth is breathing through your mouth instead of your nose which introduces dry air into your respiratory system. Normally, air that goes through your nose is humidified before going to your throat and lungs. The dry, environmental air pulls moisture out of your mouth. Nasal obstruction from a cold or sinus infection and sleep apnea are common causes of breathing through the mouth. An often-overlooked cause of dry mouth in the morning is the prescription or over-the-counter medication you may be taking. 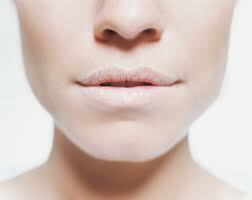 There are hundreds of drugs that can cause decreased saliva production leading to dry mouth. Check with your doctor if you start a new medication and begin having symptoms of dry mouth. Alcohol may cause dry mouth for a couple of reasons. First, alcohol will naturally pull moisture from the tissues of the mouth and throat. Second, alcohol is a potent muscle relaxant that may cause the jaw to fall open during sleep causing you to breathe through your mouth. The combination of these two factors can lead to waking up with dry mouth. One of the side effects of cigarette smoking is a reduction of production of saliva which will lead to dry mouth in the morning. Waking up with a dry mouth may simply be a result of excessively dry air in your environment. Permanent relief of dry mouth will depend on a definitive diagnosis and treatment of the root cause of the problem. Until you can cure the cause of the problem, there are several home remedies that you can try to relieve the symptoms. Stay well hydrated by drinking plenty of water. Most experts recommend about 8 glasses of water each day for a healthy adult. Saliva production will slow when you are dehydrated. Keep water with you, particularly in hot weather, so you can take sips of water throughout the day. If you suspect your dry mouth is caused by congestion in your nose, try using an over-the-counter nasal spray to open your nose and prevent breathing through your mouth. Be sure to limit the number of days you use these nasal medications. Overuse can result in dependence on the drug and rebound swelling and congestion of your nose. Foods full of sugar or acid can pull fluid out of your tissues leading to a dry mouth. Particularly before bed, brush your teeth to remove sugar and acid that can cause tooth decay. Caffeine drinks also tend to pull fluid out of the tissues in your mouth. After drinking coffee or tea, be sure to drink a full glass of water to rehydrate your mouth. If you smoke or chew tobacco, quit! If you are having trouble stopping smoking, at least refrain from using tobacco in any form before going to bed. Before you go to bed make sure your mouth is moisturized. Do not use a mouthwash that contains alcohol since alcohol will pull fluids from the tissues of your mouth. There are over-the-counter moisturizers marketed as 'saliva substitutes'. These cellulose-based products may add needed moisture to your mouth. Add moisture to the air by running a cool-mist humidifier in your bedroom. Good fluoride toothpaste will help remove bacteria from your mouth to prevent tooth decay. Taking care of your teeth may help to prevent waking up with a dry mouth.